Now that the economy is improving, many people are interested in improving and renovating their home in order to freshen its appearance or possibly increase resell value. If you are planning to spruce up your home this season, here are some DIY home ideas to get you going and provide creative spark. First, when looking for home improvement diy ideas, I find it useful to consult magazines and online home improvement websites in order to get a wide range of ideas. Instead of meticulously keeping each page, sometimes I just like to tear them out and paste them onto a piece of cardboard et cetera for inspiration. Seeing everything in front of you can give you an idea of what works together and which colors you want to concentrate on. Second, picking a color scheme can really enhance the beauty of your room. Common home improvement techniques to create visual imbalance includes painting bookcases, dressers et cetera to provide a pop of color to the room. Rich colors like red, dark blue, and dark green can really add something, especially when the color is picked up throughout small details, like pillows and picture frames. Do not be afraid to go too dark with your walls, either. One technique that adds color without creating a closed in feeling is painting three walls a lighter color, such as light tan, and painting the last wall a darker complementary color, such as medium blue or dark red. Third, when tackling home improvement projects, try to plan ahead of time and organize yourself before starting in and making a mess. If you do not approach each room with a clear task and plan in mind, you risk leaving projects half finished or realizing you do not have the materials to finish the job. Make sure you have everything you need beforehand, and know where it is going to go. 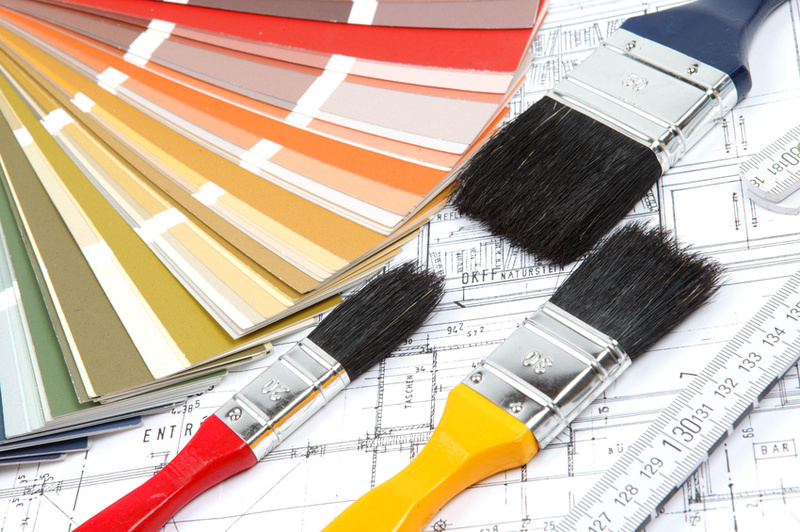 Fourth, finally, an essential step to DIY home improvement is investing in quality materials. Get deals where you can get deals, but remember that for some things, there is a reason materials are priced far below their normal price.